Aberdeen City Council bosses want new venue to replace AECC in a bid to stave off Norway's efforts to become known as the oil centre of Europe. Council chiefs in Aberdeen are planning to create a new £200m exhibition and conference venue which would replace the AECC. The plans come as part of the council’s bid to stave off Norway's efforts to become known as the oil centre of Europe. The local authority have confirmed that they are looking to spend more than £200m on the new facility. 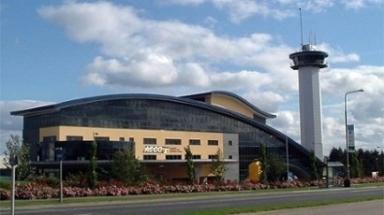 Under the plans the AECC would continue to operate as normal until the new venue was built. However, the council's finance convener, Willie Young, has stressed his authority will be looking for the Scottish Government to contribute to the funding for the venture. Cllr Young said: “Aberdeen is the oil capital of Europe at the moment, but the Norwegian Government is putting serious money into capital projects in Stavanger and Bergen and it seems they want to steal that title from us. "That is why we have to get involved in major new developments, which will keep us ahead of the opposition. "The AECC is past its sell-by date, so we want to replace it with an exhibition and conference centre of which the city can be proud. But we also want the Scottish Government to step up to the plate. "They have invested in the SECC (in Glasgow) and the EICC (in Edinburgh), so it seems only fair they do the same with any new AECC building in Aberdeen." The AECC contributed millions of pounds a year to the local economy, and is vital to Aberdeen's status as an energy capital and host of oil and gas industry conferences. But the council has has had to bail out the venue several times in recent years. Last year, the local authority said it would write off loans of £26.2m.